I’m not sure we’ve ever made a finer Chardonnay than our new Estate release – it’s that riveting. It will quickly seduce you too. 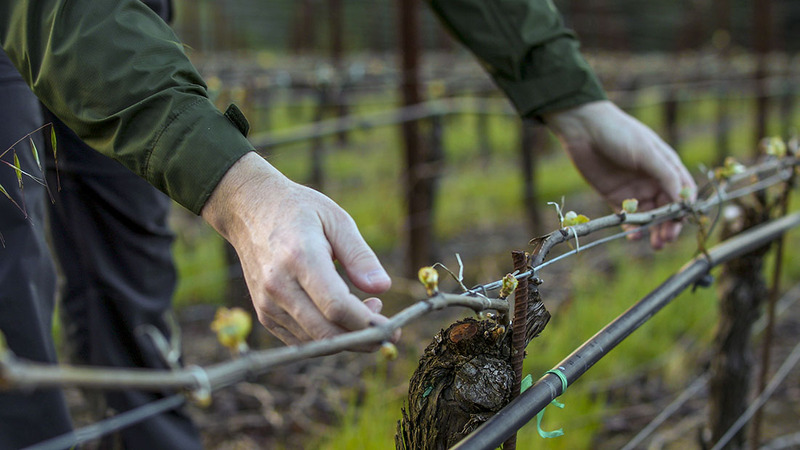 This vineyard, surrounded by redwoods, offers up all of its environment to the wine, which translates to savory, evergreen complexity, saline freshness and even some briny oyster-juice notes. But with time and air the wine unfolds and the natural richness of the fruit dominates – honeyed citrus, ripe peaches, some mango even. The wine is like a livewire, primed for action, ready to pick up and energize your palate. Quite tightly-coiled right now, it will need some time to unfurl and relax, so I suggest aging for at least six months after shipping. This is probably the wine of the vintage, and I think, one of our greatest ever bottlings of any type. Straw-colored in the glass. Diverse, intertwined aromatics – river pebbles, lime peel, jasmine and flint. Underlying citrus richness and some tropical notes. Toasted coconut, melon and brine elements with smoke (but no mirrors, trust me). Focused taut entry – crisp minerals, white nectarine then richer peach and musky notes. Completely dynamic, energized palate with real definition. Muscular crisp-apple acidity but building fruit richness as the wine glides on and on. Brilliant. Drink between mid- 2015 and 2022.